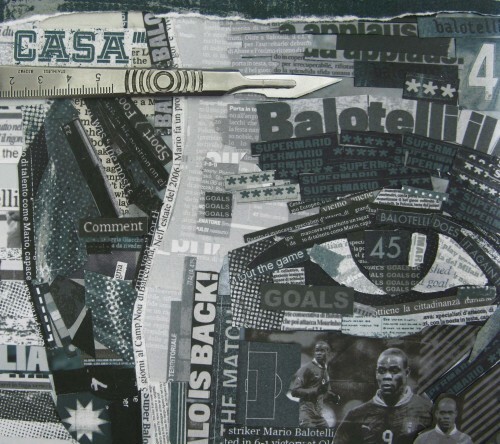 Cover collage for The Independent Magazine. 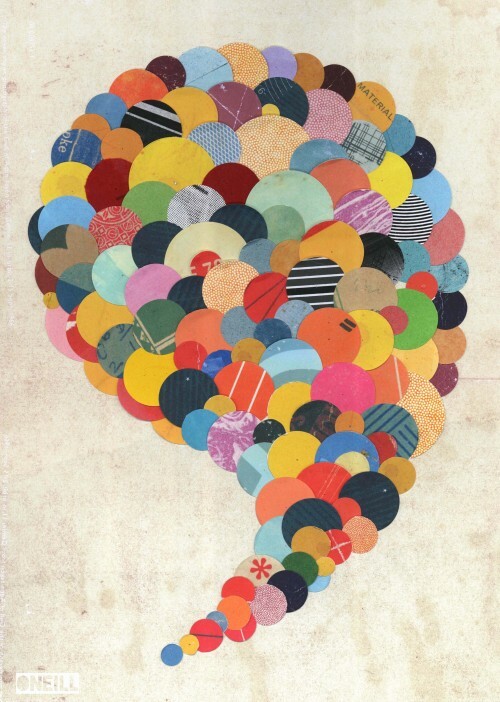 Saturday 25th January. 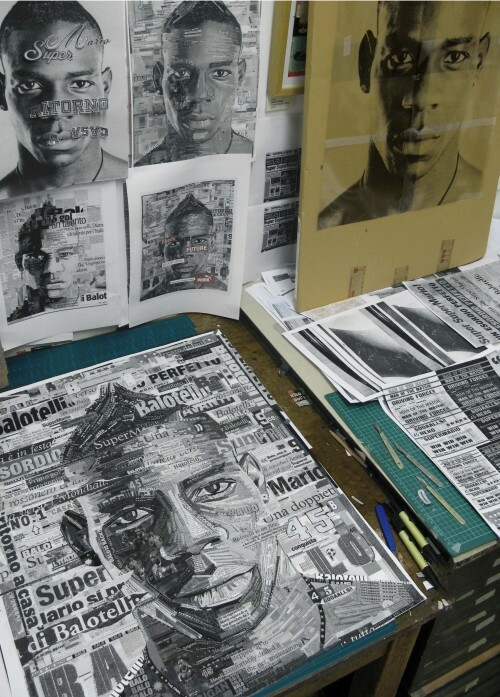 Station to Station. 2014 Travel Special. 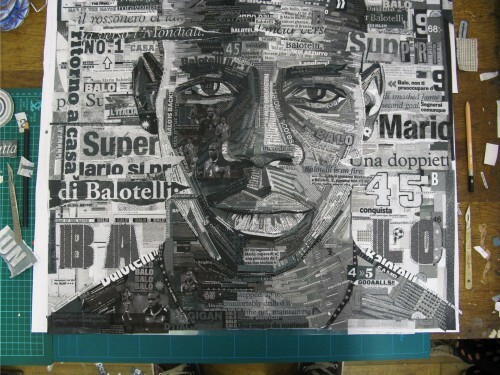 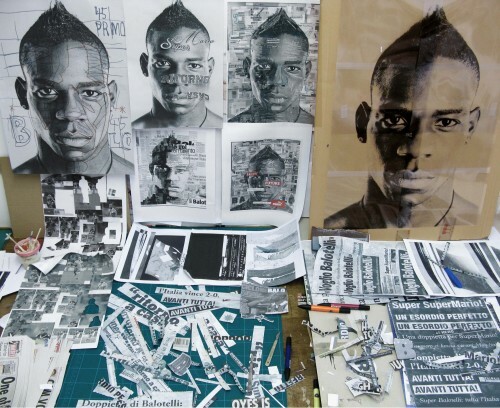 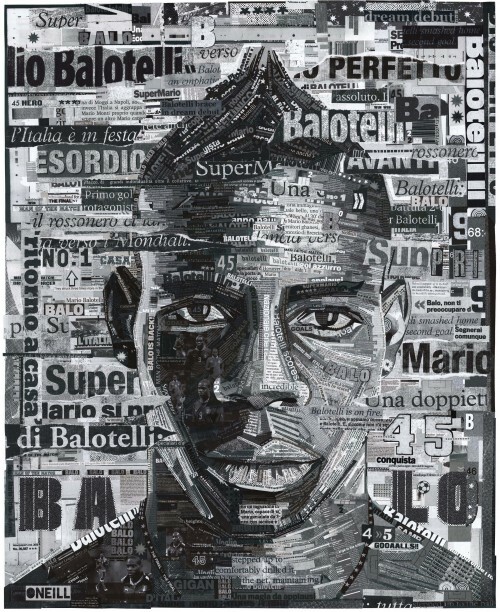 Brief: An accurate portrait of Mario Balotelli made entirely from his Italian & British press clippings. 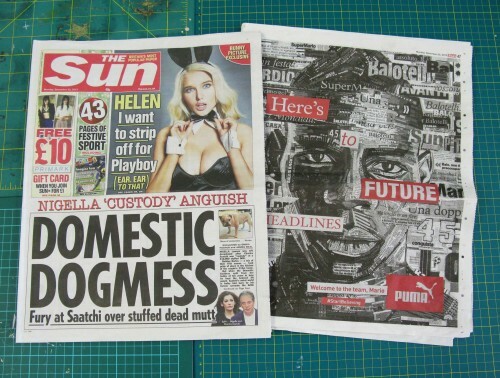 Time: Four days. 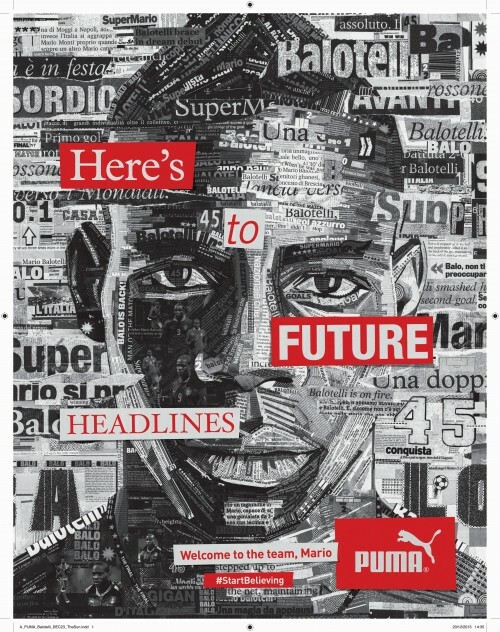 Client: Neighbour for Puma.